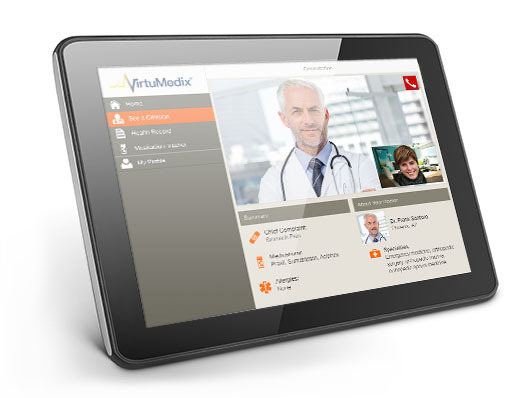 TCS had a wealth of interesting news at MWC this week - probably the most interesting was their VirtuMedix solution which is a HIPAA compliant virtual telemedicine solution allowing doctors and patients to securely communicate in order to minimize the need for in-person visits. In a live demo they showed me how a patient could get added to a queue after paying a fee for service and the doctor could then choose to take the audio or video call. From that point, they communicate via WebRTC and share photos if needed, of a rash, for example. In all, this is a very slick solution - they even have an integrated refund which can be sent to a patient if it is deemed they are better off going to the emergency room after all. TCS is also working on connected car solutions - helping to harden the solutions to prevent buffer overruns and other issues which could be exploited by hackers. Penetration testing via range checks is one of the ways they do this. Long-time spokesperson for the company Tim Lorello explained that they also work to find problems which could be exploited such as a denial of service attack which could lock the brakes. Finally they discussed a new location based service which has higher levels of accuracy and authenticity as they eliminate potentially fraudulent readings. This solution can be useful for credit card companies who want to be sure you are at home, work or at a location where a charge is being attempted. Also, this type of solution has uses in gambling where geographic restrictions might apply. In all, this is a nice expansion into other areas for TCS - we've known them for years as leaders in GPS, SMS and 911 and now they are showing they have add value to connected vehicles and medicine.